Public relations is all about creating third-party credibility – and one of the most effective ways to accomplish this goal is to work with a spokesperson. Be budget minded. An “A-list” spokesperson can generate significant media coverage for a product or brand, but booking a big name often requires big bucks. If my budget is tight, I’ll research up-and-coming talent – perhaps someone who just landed his or her own show on the DIY Network or HGTV. This is often a win-win situation. We benefit from a dynamic spokesperson with reasonable fees, and they have the opportunity to raise their visibility. Set expectations right away. When vetting potential spokespeople, it's important to be clear and specific about how you plan to use their name and likeness. If they participate in a satellite media tour, be sure to discuss if you also plan to post that footage to the client's website. If you’re going to quote them in a press release, determine if they'll also make themselves available for media interviews. By spelling out all of your needs in advance, you’ll get a better idea of what they’re willing to do within your budget limits – and you’ll avoid any surprises after the contract is already signed. Consider your audience. When it comes to spokespeople, one size does not fit all... even with two projects for the same client. 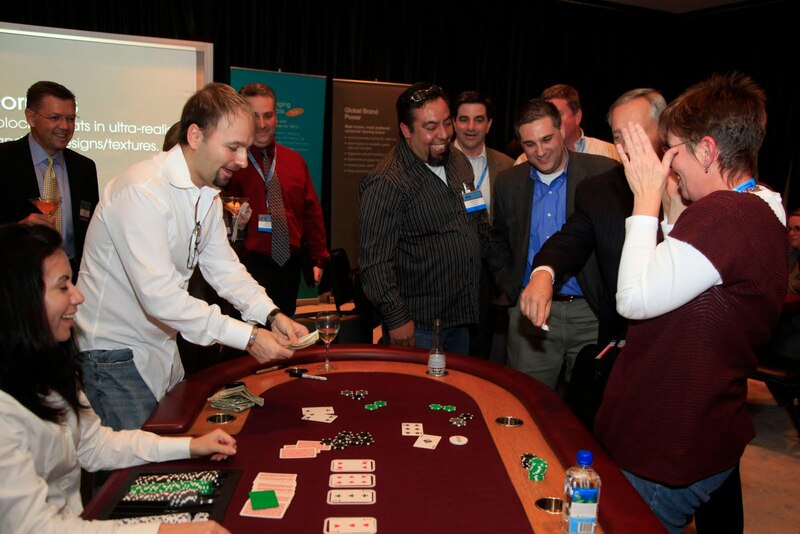 For a Pergo retailer event in Las Vegas, we hired professional poker player Daniel Negreanu – who we knew would be a huge draw for the largely male group. 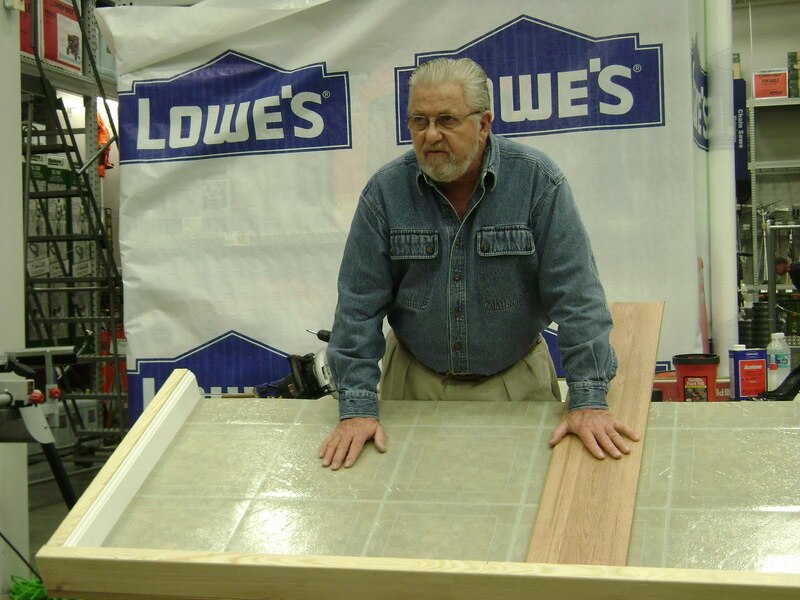 Then, when Pergo hosted a series of laminate seminars at Lowe's stores around the country, we secured home improvement personality Ron Hazelton – who is well-known and respected among do-it-yourselfers for his practical, hands-on advice. Work with a trusted vendor. There are several vendors who specialize in identifying just the right spokesperson for your program or event, and these vendors often can help you to navigate the tricky process of working with agents, drawing up contracts and negotiating fees. While vendors can make things easier, remember that they will charge a mark-up for their own services – and they often have an exclusivity clause that requires that you work with them to sign any talent they research on your behalf. Select a natural brand ambassador. 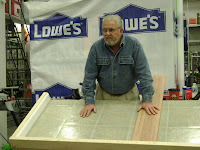 In my opinion, the best spokespeople are those who already have knowledge of and experience with a particular product. If they possess a favorable opinion of the brand you’re asking them to promote, they “sell” it naturally to consumers – and their passion will be evident and contagious. The bottom line is that an effective spokesperson is yet another tool in our PR arsenal, but there's much upfront work that must be done to ensure you have the best personality to represent your client. Two LCWA clients were featured in placements in today’s New York Times Home Section! The Electrolux Ergorapido stick vacuum was highlighted as a great pick for college-bound students, including a great picture, quote from the company spokesperson and link to purchase. In the same section, the Grohe Rainshower Collection of colorful shower heads was featured with a great picture and a mention of the pink version benefiting the Breast Cancer Research Foundation. Congrats to the Electrolux and Grohe account teams for more great work! Don’t Be Late: The group was anxious, all keeping an eye out for the possible staffers. Just after the designated time, people got irritated and started discussing how they wanted to Tweet and thank the show for wasting their lunch break. Our learning: it’s best not to make participants wait because the meet up could backfire, resulting in negative attention. Do Be Prepared: About 100 people gathered in hopes of getting tickets to the sold-out show. Twitter’s power to gather a crowd is undeniable. The word spread quickly, so ensure that you’re ready for a big turnout. Millennium Park security was on high alert – and for good reason. Also be sure that you alert the appropriate people if you’re going to stage this kind of stunt. Don’t Encourage Running: We all debated how it would go down – a dance off, trivia challenge or the best sign? Suddenly, several young ladies took off their jackets to reveal matching t-shirts, creating pandemonium. Unfortunately for us, the tickets were simply awarded to the five people that pushed their way through and essentially tackled the staffers. Next time, I’d recommend a more creative way to quickly narrow down a large group and determine winners. This would make the process fair and avoid any ill will among the remaining participants. Do Offer a Parting Gift: Luckily, we could fill out forms for standby tickets, hoping they’d need us as seat fillers for a different night – and they did! Offering this type of “second place” prize makes people feel like their time was not wasted and creates good feelings overall. Overall, Twitter is a good place to get a crowd excited about an event, but just make certain that you’re prepared to handle any possible outcome! Can Ethics in Public Relations Be Taught? You Bet It Can! Now that the final exams are graded, I have a few moments for reflection about my experience teaching an “Ethics in Public Relations and Advertising” class at DePaul University last quarter. Overall, there is a lack of ethics training for communicators to give them a foundation for ethical decision making. In fact, more than 70 percent of PR pros reported that they had not received any ethics training, or had seen just a cursory level, according to a survey by the Research Foundation of the Inernational Association of Business Communicators (IABC). That’s why I’m excited to be a part of DePaul’s effort to infuse teaching on ethical decision making into every field of study. Here are some insights I’ve gained on what’s needed to tackle teaching a subject such as ethics. Provide a framework for thinking through an ethical dilemma. Often, there is more than one “right” answer to an ethical question, although one choice may ultimately emerge as best course of action. Without a process for analyzing the stages of decision making and assigning appropriate weight to conflicting considerations, students and practitioners often resort to a confusing pattern of case-by-case decision making or a retreat to the legal standard as the only reliable guide. Appeal to a higher ethical principle. By using a step-by-step process, we can determine whether there is an overarching ethical principle that provides a universal ground for decision making and provides a defensible way to choose between competing alternatives. A good working knowledge of the key theories of leading ethical thinkers across the ages enables students and practitioners alike to demonstrate that an ethical principle shaped their final decision. Know and respect the ethical codes of the profession. The codes of our profession – Public Relations Society of America (PRSA), IABC, Word of Mouth Marketing Organization (WOMMA), American Advertising Federation (AAF), to name a few – provide a road map for students and professionals to follow. These codes provide a wealth of food for thought for anyone who is interested in the profession’s commitment to ethical practices. At LCWA, we work hard everyday to make the right ethical decisions for our clients and our staff using these fundamental principles. We’re also committed to a process of continually learning and honing our approach to solving ethical dilemmas. I’m pleased to announce the addition of two new members to our PR team! 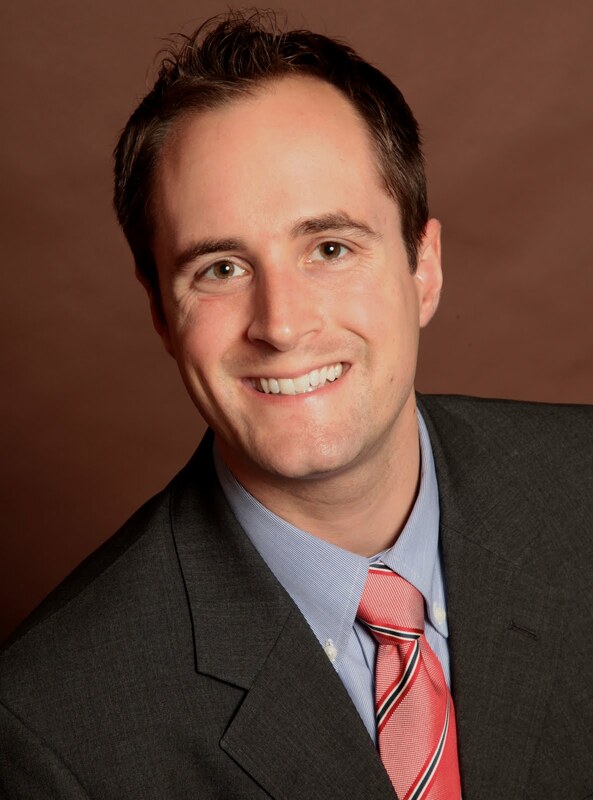 Hunter Hackett joins LCWA as a senior account executive. He is a new addition to the Chicago PR scene, having recently relocated from Washington D.C., where he worked for a strategic communications firm. Hunter has a strong news background and started his career by working for CNN. 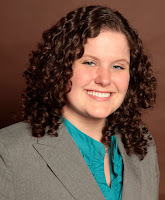 Lauren Platt is an account executive who joins us from a boutique Chicago agency. She has a wealth of experience working with media for home and housewares clients. Both joined LCWA in June and already are contributing great ideas and results for our clients. How we brand ourselves online – both personally and professionally – is a topic I’ve been following for some time. There’s no longer a distinct separation between the two – both should show the same values and traits. Although these aren’t the same social media guidelines I followed in college, I’m finding that there are benefits to this new way of socializing online. I still have fun with social media, but now my friend list has shifted from mostly classmates to colleagues, clients and industry peers. The best part about this is that I get to know all of these people in a completely new way -- I learn more about their personalities and what we have in common outside of work. Would I want my boss to see this? – Before I rant or rave about anything, I take a step back and ask myself if the status update, tweet or blog entry will bother anyone. I try to stick to more neutral topics so I can maintain a professional rapport and share content that helps further my image. Who’s following me? – While I’m staying close to the middle of the road content-wise, I still need to be cognizant about who is paying attention to my profile. I try to share thoughts, links and multimedia that will be of interest to the bulk of people who are friends with me. Is what I’m saying useful? – While social networks may have started out as a forum to just talk about ourselves, it’s evolved. I stick to the 80/20 share/self rule, which says to participate in the conversation 80% of the time, and use the other 20% to initiate dialogue. This way I keep audiences well-informed and interested in my updates. Is it me? 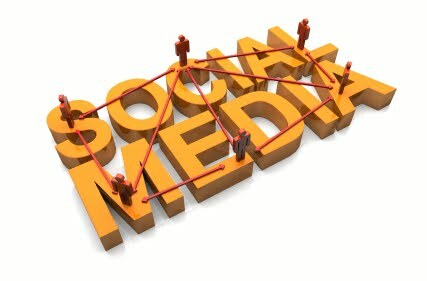 – Ultimately, social networks are a way to communicate your personality online. I make sure to show others who I am. I include my likes and dislikes to illustrate what makes me unique. The bottom line is that even though social media is converging the social and the professional, with just a little extra thought it can be both useful and fun!